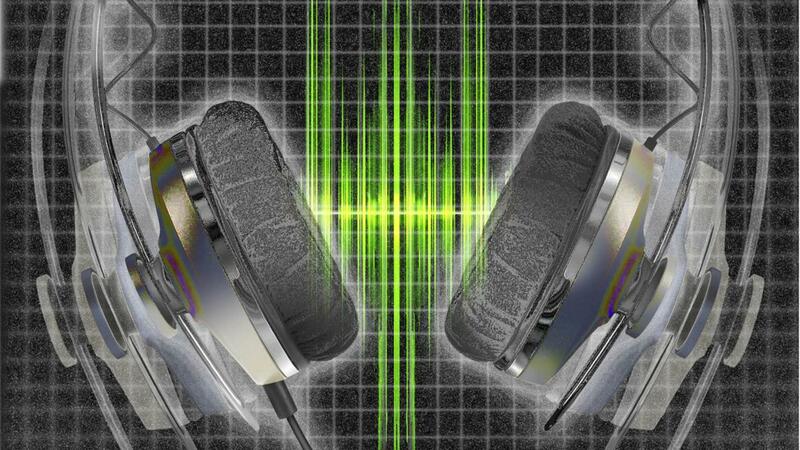 Today’s headphones market was created not by audio engineers, but by a record-company boss and a rapper. In 2008, Dr Dre and Jimmy Iovine, of Interscope records, introduced a line of heavy, plastic premium headphones called Beats By Dr Dre. This offered a generation of listeners previously hooked—literally—on white Apple earbuds something they’d been missing from the compressed music on their iPhones and iPods: bass. It opened up the market for a new generation of headphones as a fashion accessory, with brands such as WeSC, Skull Candy and Urban-ears selling bright colours and bold design. With price tags of $300-plus, Beats proved that people—lots of them—would shell out to be seen in the right pair of headphones. (More recently, it proved that Apple would want to shell out $3 billion for another company.) Older firms such as Bose and Sony scrambled to catch up, offering new features at prices most of us would once have shuddered at. Set out to buy a pair of headphones now, and you’ll find yourself in a landscape of wireless and noise-cancelling, bass optimisation and celebrity endorsement, in-ear, on-ear and over-ear options. It’s enough to give you tinnitus. The first thing to bear in mind is there’s a limit to how good compressed MP3 files can be made to sound—so there’s no point paying for studio headphones unless you’re listening to higher-quality formats: WAV files, CDs or vinyl. Even if you do play these, Sony’s MDR-IR headphones (£169.99, store.sony.com), which fit completely over the ear, are cheaper than Beats, and give a better-balanced, more spacious sound. Other than that, the amount you spend will depend on your needs. Frequent flyers tend to like noise-cancelling headphones. Powered by either recharge­able lithium batteries or the disposable kind, these cancel noise by sampling atmospheric sound around the listener and playing back an inverted version. The constant, low-frequency rumble of jet eng­ines disappears—but the headphones are less effective at masking sudden, higher-frequency noises, like your boss yelling from across the office. The technology is still expensive and has its flaws: the Bose QuietComfort 15 headphones I tried hissed when they needed charging and buzzed when they got too near my phone. Wireless headphones still don’t sound as good as their wired cousins, and have a tendency to skip, but they may appeal if you’re sick of getting tangled up at the gym. The Parrot Zik, designed by Philippe Starck, looks good enough to be on display in a gallery, but its loose, over-ear fit wouldn’t work for me on the go; the smaller Philips Fidelio MI (£138.59, philips.co.uk) has a tougher exterior and feels more snug. Both need regular charging, and turn on (and up) with either finger-swipes or unlabelled buttons on the side of the headphone itself. This may sound slick, but can backfire—as I discovered when the Philips started playing in my bag at the theatre. For compactness and comfort, on-ear headphones are a good bet. Grado has long offered the best sound in this category, plus a pleasingly nerdy black-and-gold style, but though its leaky, open-back design improves the sound, it won’t improve your social standing with anyone within a ten-foot radius. My on-ear favourite, for sound, versatility and value, is Sennheiser’s Momentum (£169.95, sennheiser.com). The sturdy stainless-steel band and squishy earpads stay put during a session on the treadmill and produce a superb range of sound, including heavy but balanced bass. What’s more, no batteries need charging, no Bluetooth needs connecting, no buttons need pressing; the headphones just work. With all the options out there, that kind of simplicity sounds best of all.